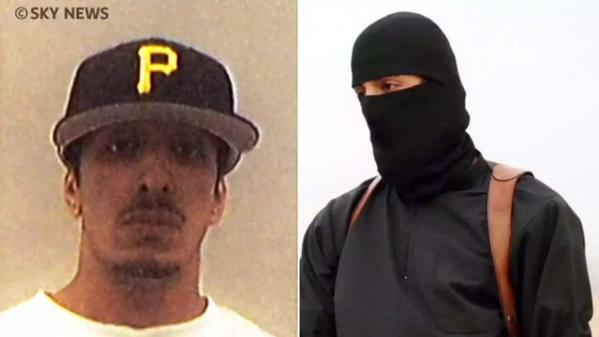 The balaclava clad, black-robed militant who came to be known as ‘Jihadi John’ appeared in several Isis videos with hostages from the US, the UK and Japan. He has since been identified as Mohammed Emwazi. He is believed to be from an affluent family in west London and graduated from the University of Westminster with a degree in computer programming. He was known by his friends as polite and as having “a penchant for wearing stylish clothes”. He was born in Kuwait and moved to the UK aged six. He later returned to work for a computer company.He had been due to marry a woman there, before he was allegedly prevented from returning by British security services during a trip to London. A former hostage said he was part of a team in charge of guarding Western hostages at a prison in Idlib in Syria nicknamed ‘the box’. One hostage said he was there with two other men with British accents. They described him as quiet, intelligent and “the most deliberate”, according to The Post. The trio later moved to Raqqa, Isis’s defacto capital in Syria, with hostages. Captives said they appeared to have taken on more powerful roles within Isis. He was reportedly known to MI5 as far back as 2009, when he was deported from Tanzania during a trip with two other people. His friends say he spoke of wanting to teach English in Saudi Arabia shortly before he disappeared in 2012. The Guardian reports that he began to get noticed in London jihadi circles about six years ago. A former hostage said he was obsessed with the Islamist militant group al-Shabaab and made his captives watch videos of the extremists.